We start with our seasoned yellow rice and top it with black beans, onions, mushrooms, bell and cherry peppers. Hearty, healthy, and fully vegetarian! 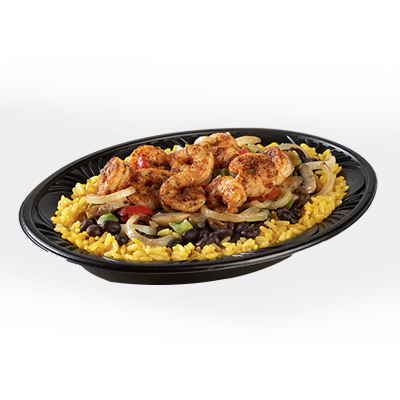 We fry or grill fresh shrimp, then pile them high on a bed of yellow rice, black beans, onions, mushrooms, bell and cherry peppers. 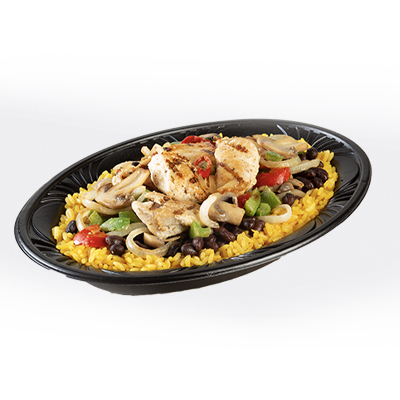 Fresh grilled or fried chicken tenders top our Big Bowl full of yellow rice, black beans, onions, mushrooms, bell and cherry peppers. No pita? No problem! 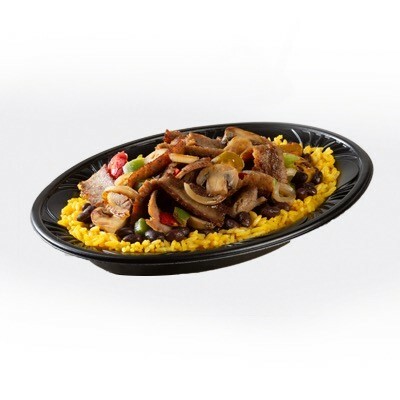 Our savory gyro meat is sliced fresh and piled high a Big Bowl full of yellow rice, black beans, onions, mushrooms, bell and cherry peppers.